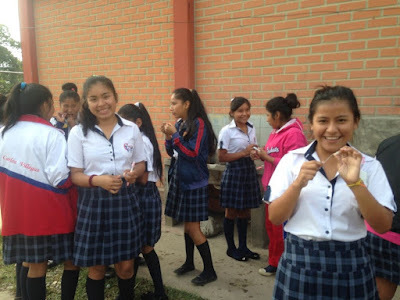 Shoreline Dental Hygiene faculty and students began a tradition in 2011 of providing practical work support at the first and only dental hygiene school in Cochabamba, Bolivia. They learned many things, including how simple healthcare practices can make a difference in impoverished communities. 2018 will be the fourth year of offering this service-learning opportunity to Shoreline students and other students in other colleges. Katie Fleming, second-year instructor in Shoreline’s dental program and leader of the Smiles Forever team, along with a group of students, will discuss past and future programs. Shoreline Community College is committed to nondiscrimination. To request disability accommodations, contact Services for Students with Disabilities at last ten days in advance (206-546-445, 205-546-4520 TTY, ssd@shoreline.edu).